Kerry O'Keefe, who is commentating for Fox Cricket in Australia, was having a difficulty at pronouncing the names of Pujara and Jadeja. Australian commentator Kerry O'Keefe has certainly refused to learn from his previous mistakes. Having earlier ridiculed India opener Mayank Agarwal, O'Keefe has further enraged the Indian fans by making fun of Cheteshwar Pujara and Ravindra Jadeja's names. 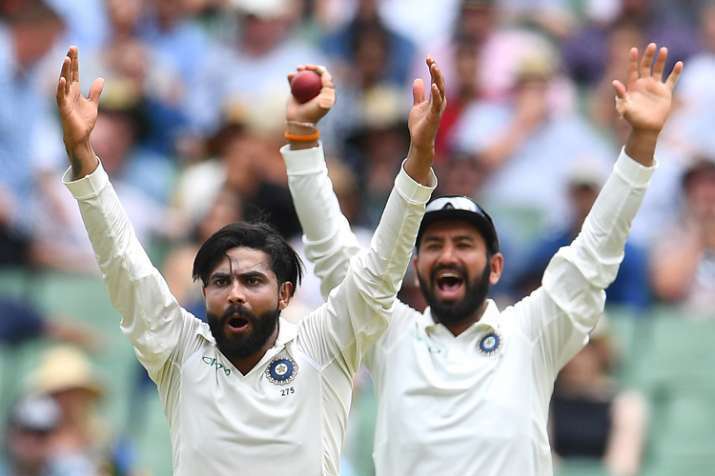 The former spinner, who is commentating for Fox Cricket in Australia, was having a difficulty at pronouncing the names of Pujara and Jadeja. O'Keefe's comments didn't go down well with the Indian fans, who lashed out at him on Twitter. Why would you name your kid Cheteshwar? asks Kerry. Even if you ignore the racist undertone, the humour is remarkably dated and ordinary. These jokes have run their life, if all you are going to do is crack jokes in the comm box then at least write some better ones! This is not the first time that O'Keefe has infuriated the Indian fans with his comments on Indian players. O'Keeffe had to apologise for ridiculing Agarwal's first-class career while commentating during the first day of the Melbourne Test. O'Keefe was quoted as saying that Agarwal's maiden first-class triple century came against "Railways canteen staff". He was criticised on social media for the comment and the cricketer, who played 24 Tests for Australia, apologised on Thursday for comment on Agarwal, who scored 76 in his maiden Test appearance.